To burn more calories, increase intensity or improve muscle tone, all combining for faster results, simply adjust the elliptical's resistance. To improve your workout, try adjusting the stride length with the Power Intensity� Ramp�it will change the way your muscles work just enough to help you achieve greater muscle definition. Higher inclines provide longer strides to target your hamstrings and glutes. Lower inclines create shorter strides to engage your calves and quads. 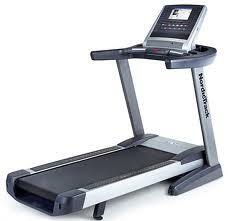 It also allows you to reposition the stride for a better fit. 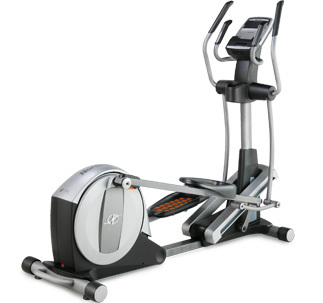 This elliptical accommodates up to 300 lbs. 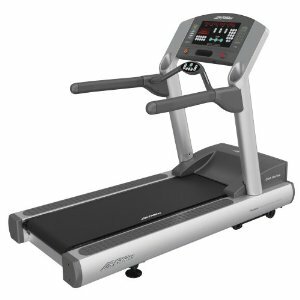 The NordicTrack E7.1 Elliptical is protected with a Lifetime Frame Warranty and 1-Year Parts & Labor Warranty. Get the workout you want with 20 built-in workout apps designed by a Certified Personal Trainer. These programs take the guesswork out of your workout and help you see results faster. Make the most out of every workout by monitoring your heart rate with sensors built right into the handlebars. They will ensure you are in the right training zone for your goals. Get better results by changing the incline of the elliptical from 10� to 30�. It will modify the shape of your stride, which alters the muscle groups you focus on during your workout. You can target your glutes, quads and calves for faster results. 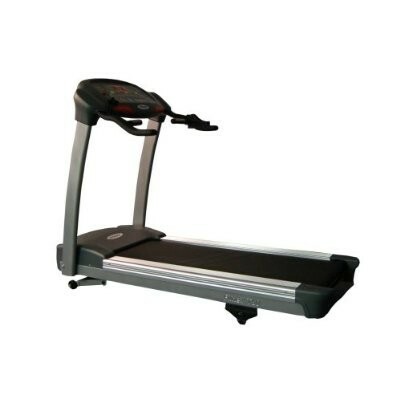 These large pedals allow you a number of different foot positions and provide great stability and comfort as you exercise. Move to the beat of your favorite music with this built-in sound system. Plug your iPod�*, or MP3 Player, into the Interplay� Music Port for unbeatable sound quality. With the iPod� resting on the console shelf, it's within easy reach and leaves the controls right at your fingertips. The next generation of LCD technology, Grafixx� Displays take training from typical to inspirational. This attractive display can either show multiple information fields for more at-a-glance information, or show a single display as large as 1" tall, for on-the-fly goal training. Regardless of your training needs or goals, Grafixx� Displays help you meet them better and smarter. Stay cool and fresh during your workout with the innovative CoolAire� Workout Fan. You'll stay comfortable, enabling you to work out longer so you can reach your goals faster. The sophisticated fan is built right into the console, just like the AC in your car, allowing you to quickly adjust the settings. Get smarter workouts and faster results with iFit Live�*. Featuring workouts Powered by Google Maps�, training with Jillian Michaels and automatic speed and incline controls, this wireless technology is the ultimate workout experience! Now you can customize your own fitness program, receive automatic workout downloads and manage your profile online.